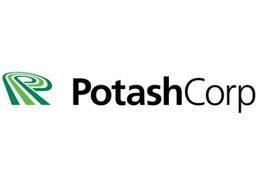 Potash Corporation of Saskatchewan Inc. (NYSE:POT) hasn’t been hot recently but the weather was. While the drought has decimated the corn crop in the United States and thus the commodity in the market, spiking prices for the foreseeable future – that may also mean price jumps on stock in companies who work in the corn market. One such company that might have an opportunity to gain is Potash Corporation of Saskatchewan Inc.
With hot, dry weather dramatically affecting corn crops nationwide, many farmers usually will lean on more fertilizer to try to salvage their yields, and Potash Corporation of Saskatchewan Inc. is one of the leaders in the fertilizer industry. In this recent analysis of the stock dated just three weeks ago, it is believed that factors are in place to see Potash Corporation of Saskatchewan stock to sell at about $56 per share by the end of the year, which means at the current market rate, the company is undervalued. The company is in tight competition with Mosaic Co (NYSE:MOS) and Agrium Inc (NYSE:AGU) for market share – and both Mosaic and Agrium have gotten positive publicity lately – but Jim Cramer on CNBC recently touted Potash Corp. as one of his “buys” in the wake of the grain – ans specifically, corn – crisis. The issue for Potash recently has been its most recent quarterly earnings reports, which showed earnings-per-share in FQ4 of 2011 and FQ1 of 2012 to be between 12-14 percent below the consensus estimates by analysts. With the company due to submit its earnings report for FQ2 Thursday morning, all eyes will likely be on Potash Corp to start to make headway in the industry, as analysts determied the company’s fundamentals are sound and thus can be a very good value in the agricultural sector. In the first quarter of 2012, Potash Corporation of Saskatchewan stock went from $42.66 a share up to $45.69, an increase of 7 percent. Since the end of March, however, the price has dropped 4 percent. The quarterly earnings will likely determine the future of this stock in many hedge funds = Potash Corporation likely can’t afford another significant miss like the last two quarters. Steven Cohen’s SAC Capital Advisors had some confidence in Potash; in the first quarter of 2012, SAC had increased its position in POT stock by more than 370 percent over its December 2011 position, to a value of $89 million, while Daniel Bubis’ Tetrem Capital Management sold about 15 percent of its position during the first quarter, down to a value of $189 million.